Frozen Ever After Dessert Party at Epcot! 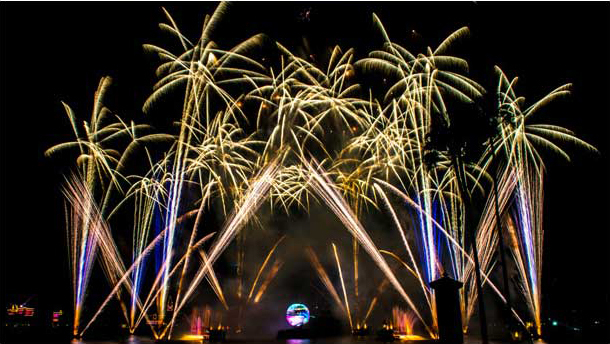 Starting July 17, 2017 there will be a delicious new way to experience “IllumiNations: Reflections of Earth” at Epcot®. 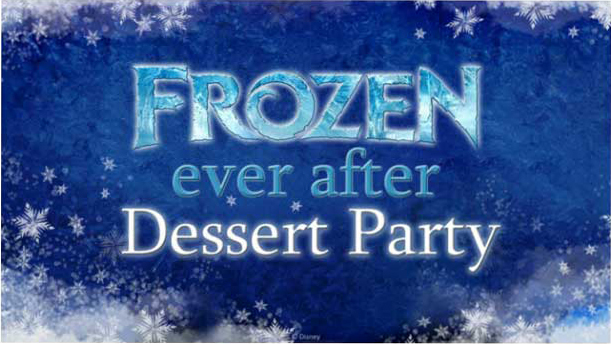 Reservations open today for the brand-new Frozen Ever After Dessert Party, the coolest dessert party with reserved seating to an amazing fireworks spectacular, delicious desserts and a special opportunity to enjoy the Frozen Ever After attraction! The party, which takes place in World Showcase Plaza East, overlooking World Showcase Lagoon, will feature décor, drinks, desserts and snacks inspired by the beloved film, “Frozen.” You don’t have to worry about staking out the perfect spot to view the fireworks, because Frozen Ever After Dessert Party Guests will have reserved seating. Specialty cotton candy lemonade or “melted snow” and other non-alcoholic beverages will delight Guests of all ages. Adults 21 years and older can enjoy alcoholic beverages such as a piña colada, margarita or “Summertime Punch,” a refreshing blend of prickly pear syrup, vodka, lemonade and ginger ale. Desserts and snacks will be served on three buffet stations, check out the menus below! After “IllumiNations: Reflections of Earth,” Guests of the Frozen Ever After Dessert Party will be escorted to the Norway Pavilion for a special ride on the popular Frozen Ever After attraction. The Frozen Ever After Dessert Party cost is $79 for Guests ages 10 and above, $47 for ages 3 to 9—tax and gratuity included. Reservations are now open for dates beginning July 17, 2017! This entry was posted on June 15, 2017 at 3:08 pm and is filed under Disney Dining, Disney News, Disney Vacation Planning, Epcot, Special Events, Walt Disney World. You can follow any responses to this entry through the RSS 2.0 feed. You can leave a response or trackback from your own site.